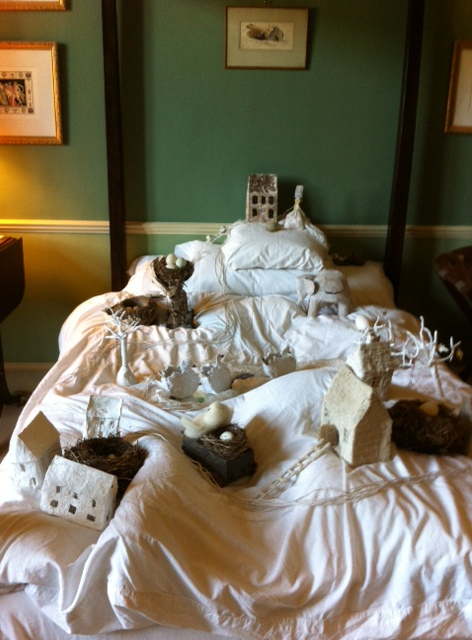 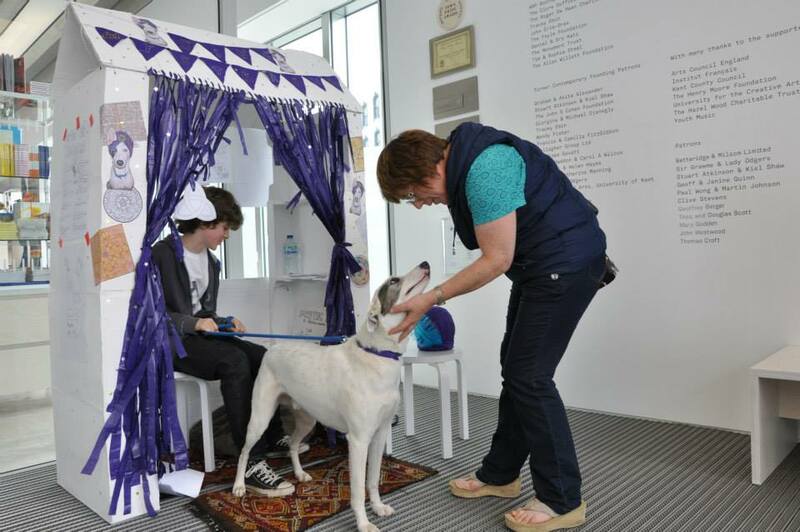 An installation for the four poster bed at Newark Park commissioned by The Open West 2013. 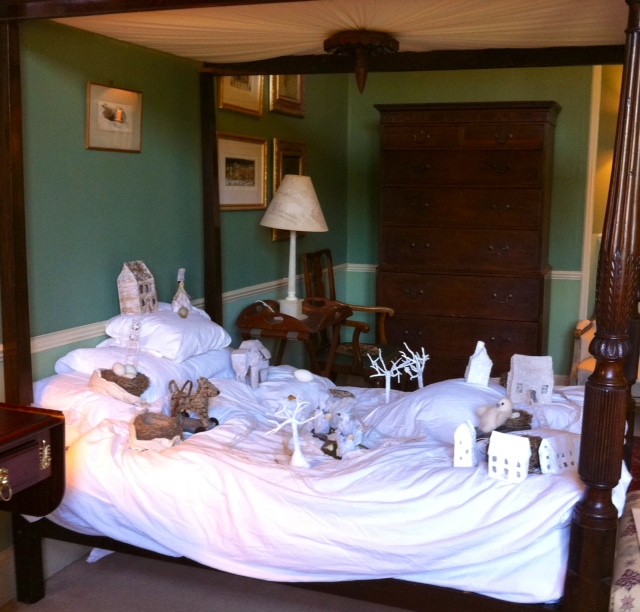 Newark Park has a spectacular setting overlooking the Gloucestershire countryside, and made me think of Robert Louis Stevenson’s poem “The Land of Counterpane”, describing how, when a child, he made an imaginary landscape on his bed. 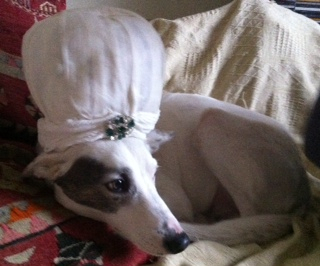 Rather than his armies and soldiers, my landscape has spoon ladies sailing with swans whilst a dog overseas the removal of eggs to be taken to the queen of the pillow. 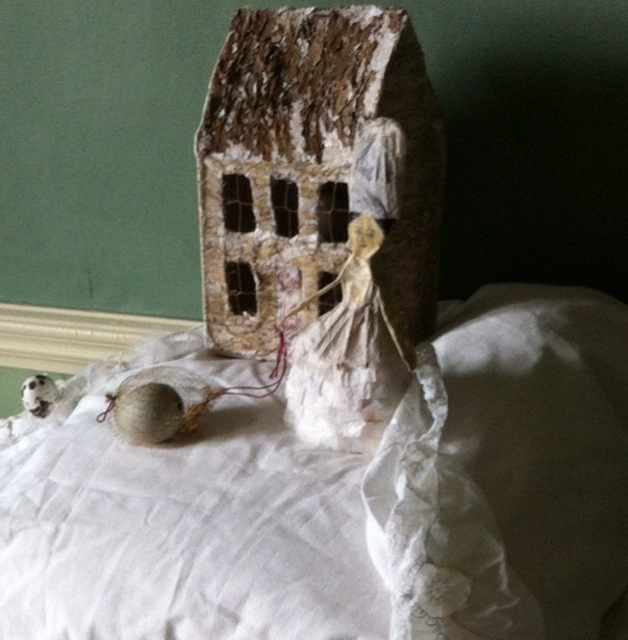 With the exception of the dog (made from wasp nest fragments, to give him a slightly scary aspect), and the found abandoned nests, and blown duck and quail eggs, all the structures are made from bed linen. 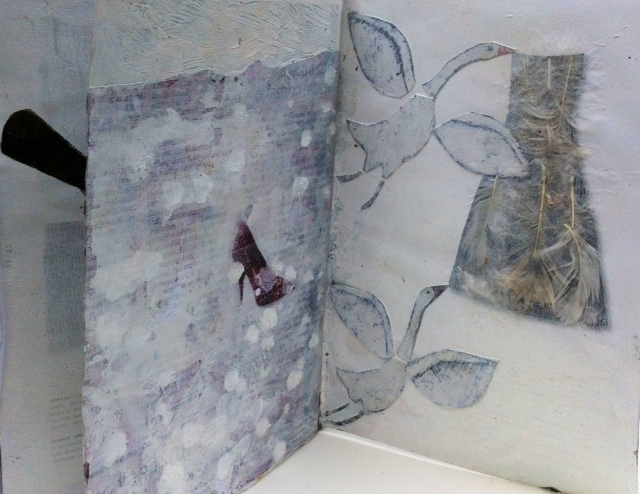 The spoons and swans are a reference to the ceramic swans and decorative spoons in the collection at Newark. 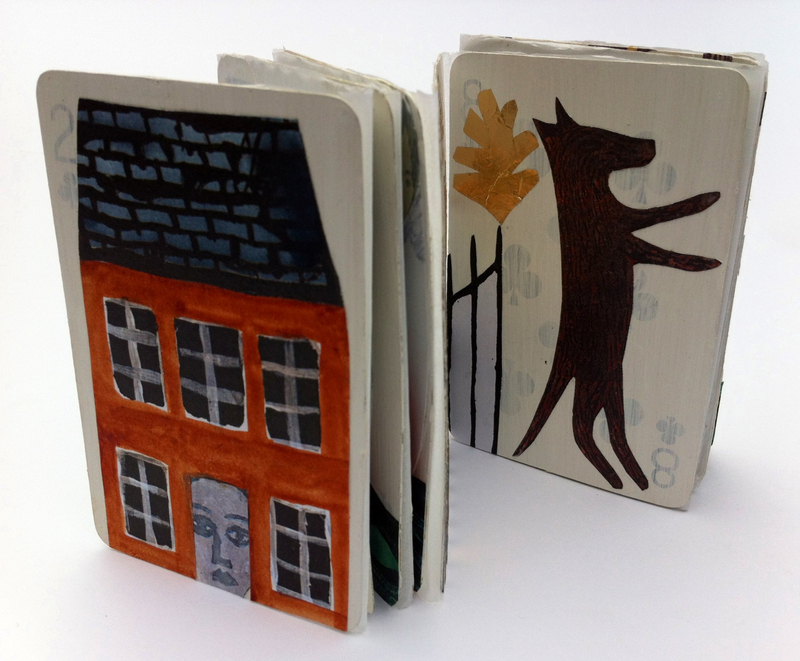 I subsequently made a concertina book of this story from conjoined playing cards, to echo the playful element of the piece. 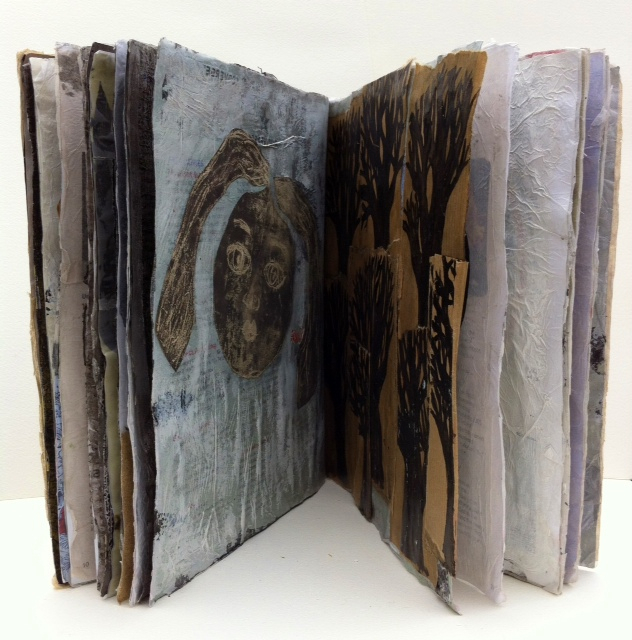 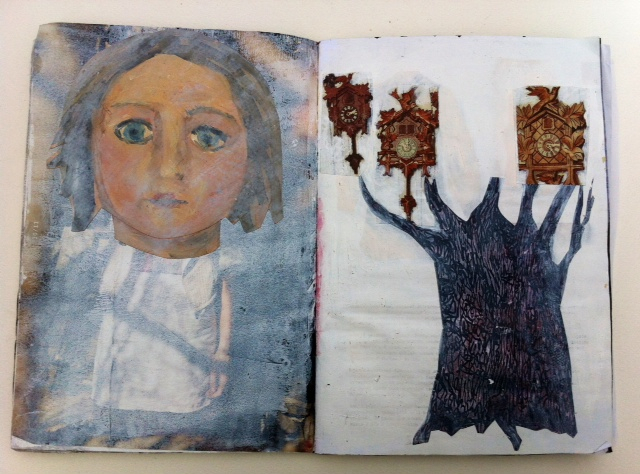 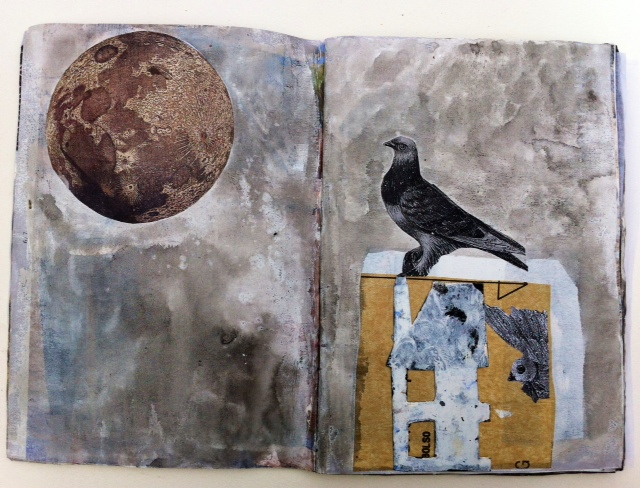 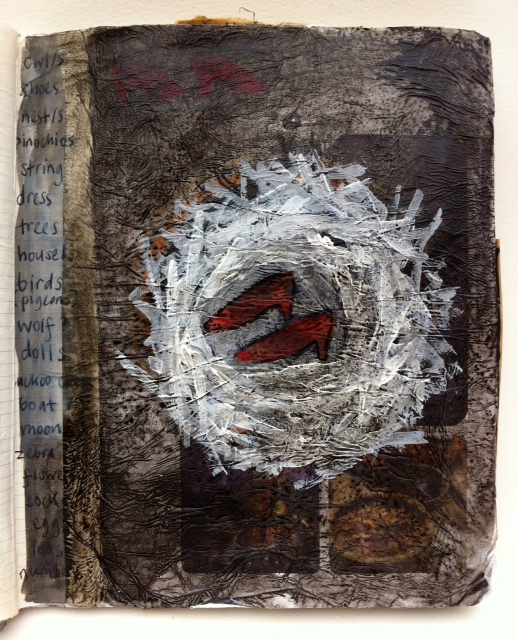 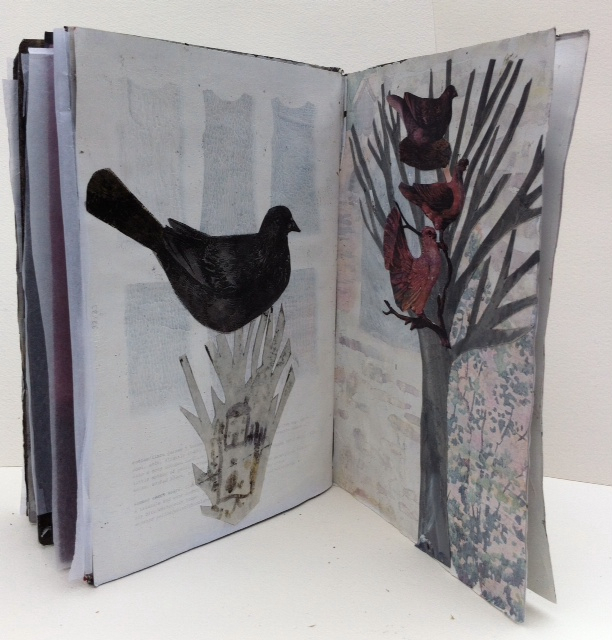 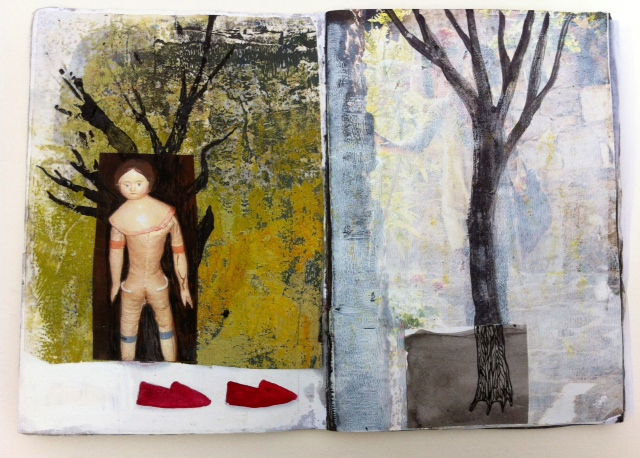 This is in an edition of four, using hand painted and collaged images. 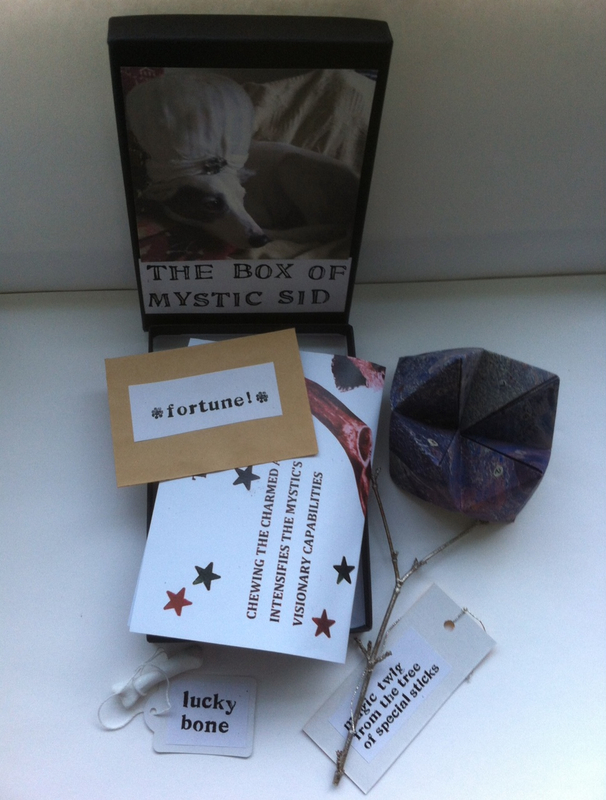 “Box of Mystic Sid” containing an individual sealed fortune: a hand marbled paper fortune teller: a lucky bone: a magic twig from the tree of special sticks: and a poster showing the prophetic paraphernalia of the Mystic One.